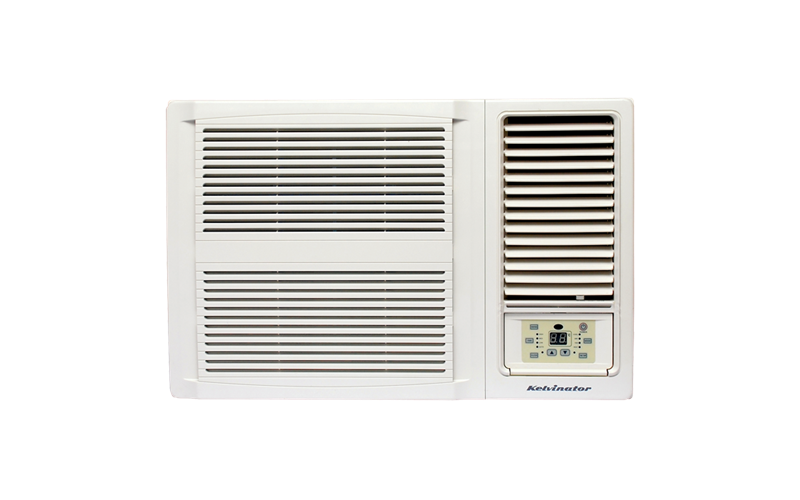 Window Wall Reverse Cycle Air Conditioner 5.3kW is rated 4.6 out of 5 by 16. The super compact design means that window/wall reverse cycle air conditioners are discreet and unobtrusive in your home. Because of their size, they’re also perfect for cooling and heating smaller family homes and space-restricted areas. Rated 5 out of 5 by rosej58 from Tough little worker This window unit was bought for me a couple of years ago, to help me deal with the heat and menopause. It saved me from so much overheating and enabled me to function. We live in a two bedroom, with sleep out, old Queenslander, with gaps a plenty that we have plugged, mostly. After trialing it on the different settings I found running it on dehumidify, with the help of two fans, yes, worked really well to cool the entire house, even the mostly hot, west facing, dinning room. I have the vent tilted towards the floor, one fan osculating near the unit, tilted down, another fan, steady, at the doorway of the room we use for an office, the unit is in that rooms window, tilted down facing down the short hall to the dinning room, with the sleep out rooms door open halfway, this allows the cool air to be pushed out of the office and around the house. When I know it is going to be a hot day, I put the unit on in the morning, close everything up, set up the fans and enjoy the coolness. This unit operates so well, better than I expected for a window mounted unit, so happy with it, runs more efficiently on dehumidify, would so recommend this to others. Oh, and great on heater in the winter, get nice and warm. Rated 5 out of 5 by Tricia27 from Reverse cycle, easy to fit with remote control Great product, sales person went over all the features which helped in purchasing the one we wanted and needed. Temperature control. Easy to fit in existing place. Powerful and yet quiet. Remote control makes it easy to adjust settings. Just what we wanted. Rated 3 out of 5 by Erol from Serious design problem BEWARE! We have an "old style" house, with double-brick external walls, into which the air conditioner has been fitted, to replace an old one. About a quarter of the new machine's side air intake vents are within, and are blocked off by, the outer brick wall. The installation instructions insist that the vents should not be blocked. The machine seems to have been designed for houses which have a single brick + stud wall. No specific information was provided about the exact location of the vents before we bought the machine. The outer cover of the machine needs to be redesigned. Rated 4 out of 5 by muscateers from Product works well The unit works well and suited for a large are. It quickly keats and cools area. The only thing I can pick on it is that temperatures are not kept when using the economy mode. Instructions should reflect this.